Is Your RV Ready For Summer Fun? Summer is nearly here, which means getting ready for fun in the sun and trips with family and friends. If you have an RV, now is the time to get that vehicle ready for adventure. While you may be ready to get started, it is important to remember to ensure your RV is ready for the upcoming fun. There is nothing worse than getting excited about your trip and hitting the road, only to find that your vehicle is breaking down. What can you do to make sure your vehicle is good to go? We’ve compiled a short checklist of things to check and complete your trip! Get Your RV Ready For Summer Vacation By Following Our Checklist! Are There Leaks – When it comes to RVs there are two kinds of leaks you need to be on the lookout for. These are water leaks in your vehicle’s roof and fluid leaks beneath your vehicle. Water damage can harm the cabin and may even require cleaning or replacement. Fluid leaks, such as oil, brake fluid, and more, can harm your RV’s functionality and make it dangerous to operate. What Do Your Tires Look Like? – One of the worst feelings out there is the feeling of disappointment as you start your summer adventure only to break down with a flat a few miles up the road. The best way to prevent this is to take a good look at your tires before you head out. Check the pressure and note if any of them have worn down. If you have worn tires or they are not holding air, replace them before your journey. Hows Your Trailer Hitch? 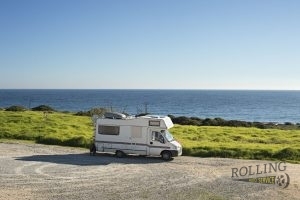 – Sometimes, you may need to tow with your RV. To make sure that this is possible, always take the time to assess your trailer connection. Make sure the connection is tight and always double check before starting the trip to ensure the trailer is well connected. If your connection is loose, it can make you a road hazard. Is It Ready To Roll? – One of the best things you can do to ensure you are ready for summer fun is to have your RV inspected and maintenance completed by a trusted auto shop. These vehicles are great, but the truth of the matter is they can end up sitting for long periods of time in the offseason. Having them inspected makes sure they will run well and ensure they are dependable vehicles. Are You Stocked Up? – Last but not least, make sure you’re ready for the trip! Check to ensure you are stocked up on any goods and that you have everything you will need. Part of this is to make sure you have your emergency road kit ready for any possibility. Do you need RV service before your trip? Rolling Auto Service is always available to get your vehicle ready for the road! Give us a call today at 941-493-6511 for your auto service in Venice, FL. Posted in Uncategorized on May 4, 2018 at 9:46 pm by Rolling Auto Service.